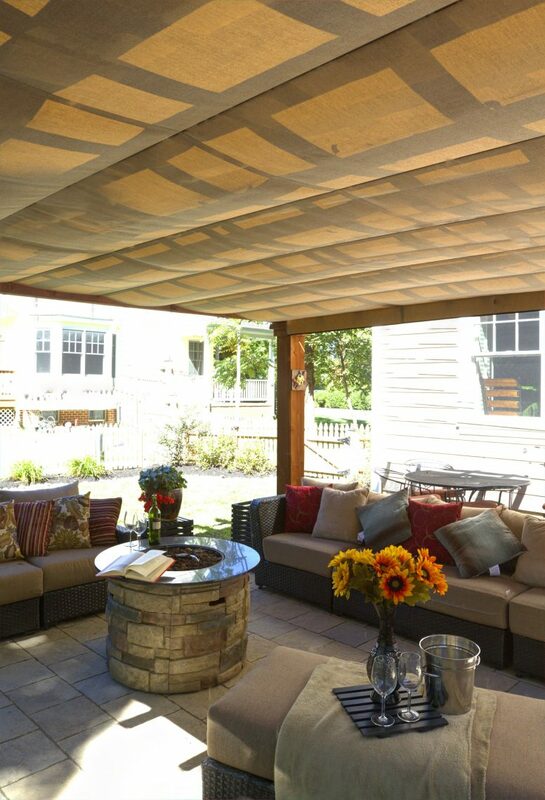 EZ Shade Canopies will provide overhead shade and protection from light rain showers. They are manually controlled and glide ever so easily on triple track slides. 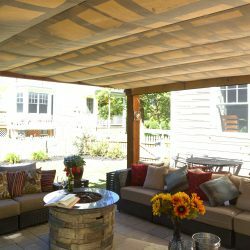 They are made to exactly fit any pergola we sell or anyone else’s for that matter! Durable fabric in fashionable colors. If we are installing the pergola, we will install the EZ Shades also. Our EZ Shade Curtains will protect you from late afternoon or early morning sun. Easy to manually operate by hand crank on stainless steel cables for sides of pergolas, pavilions and even gazebos.